Handmade crochet baby blanket in white and two shades of blue. 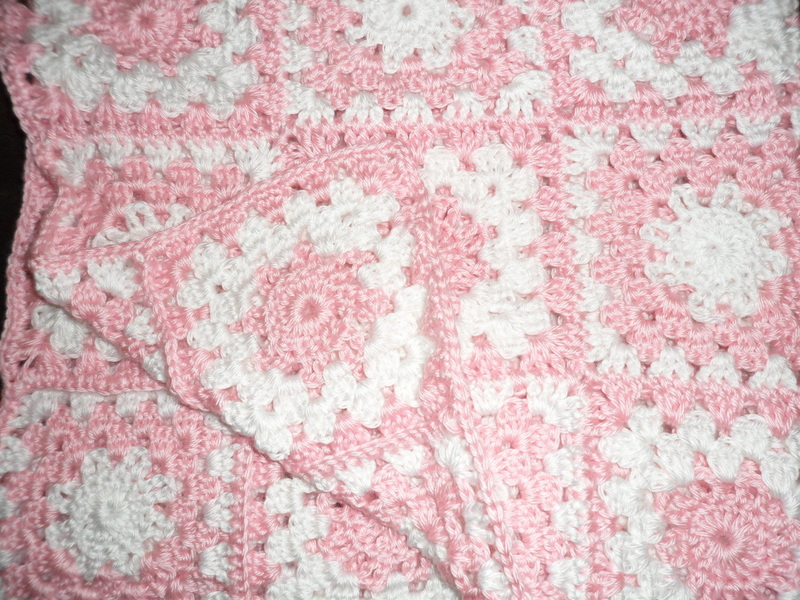 Measures approximately 39" x 39"
Super soft alternating squares of pink and white. Finished blanket measures approximately 35" x 35". Granny squares in white, soft white, and baby blue, trimmed in baby blue. Finished blanket is approximately 41" x 41". The "display" blanket has been sold. Please allow two weeks for your blanket to be made.